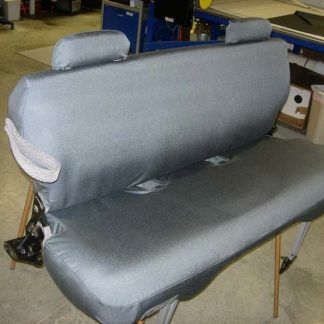 Solid bench seat with adjustable headrests. Whole seat comes forward to make a larger cargo area platform. 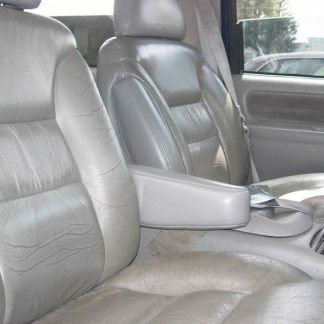 Picture shows our seat cover in Grey Cordura.